If you’ve ever driven a car, you know that you can’t go very far on an empty tank of gas. When the car has no power, it can’t move. Your body works in much the same way. It needs power–or Qi–to move. If you don’t give it the Qi it needs to thrive, it’ll just sit there. But once it’s moving, it must know where to go. The GPS system in your car directs it to its destination. Likewise, your body has an internal compass that helps you find and connect to your own consciousness. This “inner GPS” allows you to see interrelationships around you–people, Nature, Universe, and those interrelationships within you as well. It also helps you to see the ways in which these energies combine. It often helps to have a gateway to connect to Nature and to this higher energy source. We get so wrapped up in our busy schedules and daily routines that it is hard to stop, sit, and just “be”. Reflecting on our lives and our connections to the infinite have become harder and harder as we’ve lost touch with what it means to be “one with Nature.” One gateway that we all experience is the changing seasons. As the seasons change, Nature’s energy does as well. Winter brings us frozen landscapes and dormancy above ground, while underground, the preparations for Spring are taking place. As the sun warms the earth in Spring, flowers burst and bloom, filling the land with color which lasts through the heat of Summer. In Fall, the trees shed their leaves and prepare again for their long Winter’s rest. Through observing this cyclical pattern of Nature, we see that the changes don’t just impact the animals, trees, and flowers that live outdoors; Nature’s changes impact each and every one of us as well. By connecting to these changes, you discover yourself in a different way. You begin to follow Nature’s pattern of resting in Winter, blooming in Spring, shining bright in Summer, and letting go in Fall. Energy practice, or Qigong, gives you the power to make this connection. But the human mind is powerful. It holds us back from our true potential and asks us to focus instead on work, responsibilities, and routine. Can you let go of your rational mind and let your intuition take over? 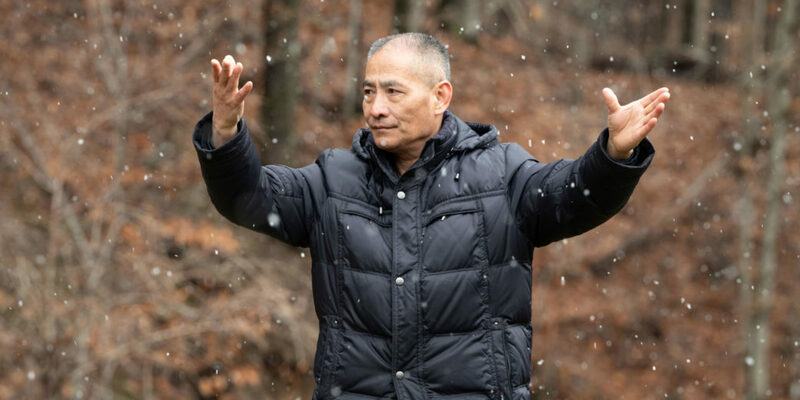 Through Qigong practice, can you connect to the changing energies of Nature and truly experience oneness in mind, body, and spirit? Practice Qigong. Think without your mind. Think instead with your heart. I love the idea that an organism is never truly at rest, we are always preparing for the next season.